between selling or not selling a product. 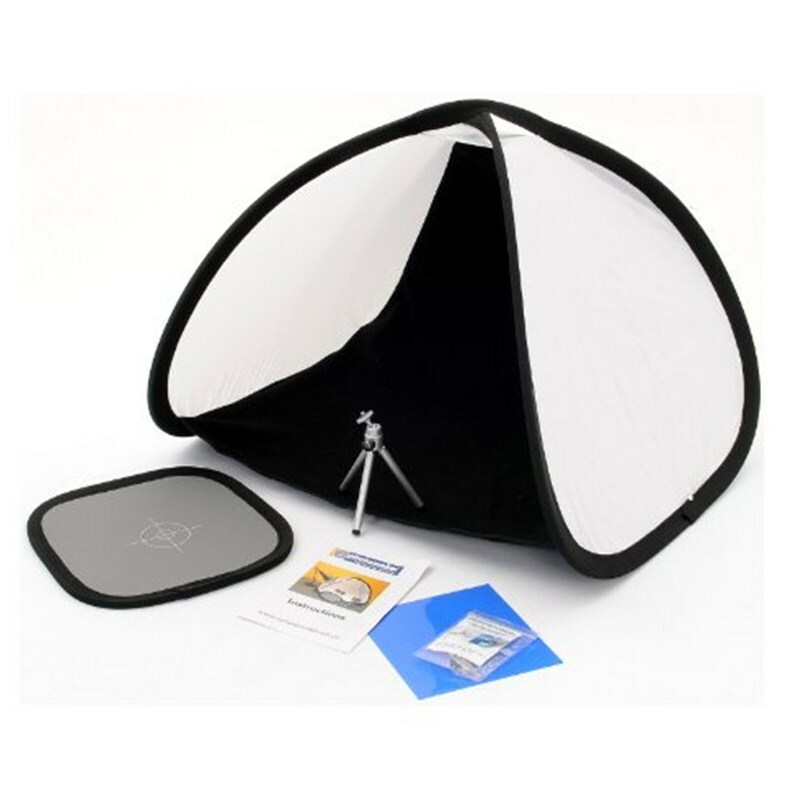 The ePhotomaker features a diffusing fabric on one side to soften the light and a reflector to fill in the shadows on the other side. All you need to provide is an ordinary domestic desk lamp.